Count on our pawn shop brokers today! Do you need extra money because of some unforeseen expenses? Perhaps you want to make a profit selling good-quality items you no longer use? Find a reliable pawn shop for your emergency cash needs; search no further than AJL Pawn. We are a pawnbroker in Whittier, CA offering secured short-term loans. Our store also has a wide selection of jewelry, electronics, licensed firearms, and more. Here at AJL Pawn, we know how hard it is to come up with the dough during emergencies. This is why we offer reliable cash loans without the long waiting times or complicated process. As the area’s go-to pawn shop, we guarantee to offer reasonably priced loans according to the value of the item you turn over to us. Partner with us for efficient and convenient pawn transactions. Whether you need instant cash or are looking for pre-owned items at affordable prices, rely on us. Visit our pawn shop, which is conveniently located 1 mile from the freeway. 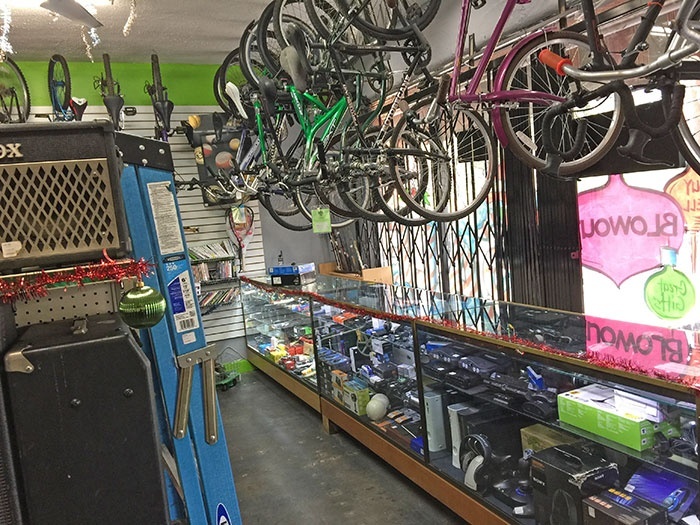 Having been at this location for over 7 years, we are a reputable pawn auctioneer that offers big loans and a wide selection of pawned merchandise. If you are interested in jewelry, you can drop by our other location in Whittier, CA. We have a parking lot for your convenience.